In the world of jazz, Trummy Young’s career was distinguished by wide-ranging associations. He came of age as a big-toned swing trombone stylist, but had no problems hanging and jamming with the be-boppers when they first appeared on New York City’s 52nd Street in the 40s. A decade later and without fear of personal contradiction, Trummy joined the Louis Armstrong All-Stars, whose leader was not known for his pro-modern jazz stance. To be sure, Young’s seemingly paradoxical musical activities were possible because he was a flexible musician, but importantly his standards were never compromised by anything he played. Trummy Young’s philosophy was simple: jazz, modern or not, should have feeling, a good melody, and swing. James Osborne Young was born in Savannah, Georgia, on the 12th day of January 1912. Raised in Washington D.C., at some point in his childhood he began playing trumpet and drums, later switching to trombone. His first professional work came at about the age of 18, playing with Booker Coleman’s “Hot Chocolates.” Next came gigs with bands led by the Hardy Brothers and Tommy Myles. By late 1933, Trummy was still with Myles, but when the band’s arranger, Jimmy Mundy, decided to jump ship and join Earl Hines’ band, a trombone opening allowed Trummy to follow. Perhaps the greatest thing Young took from Myles’ band besides the work and playing experience was his nickname. Trummy’s recollections quoted here are from Ira Gitler’s excellent book, Swing to Bop. Trummy’s membership in Earl Hines’ aggregation put him in the “big time” and a band that recorded often. Young is only occasionally heard as a soloist in recordings with Hines, but these contributions demonstate a melodic style, a big sound, and an effortless high register. Trummy stayed with The Earl until 1937, joining Jimmie Lunceford’s band the same year. Trummy Young became a star while with Jimmy Lunceford. He was spotlighted as both a singer and trombonist, and his presentation was undoubtedly aided by the excellence of Sy Oliver’s arrangements. Tain’t What You Do It’s The Way That You Do It is an example of a singing style that jazz critic Leonard Feather called “intimate and breathless.” Even today, Young’s vocals sound refreshingly cooler and lighter than the barrel-toned delivery of most male band singers of the 30s and 40s. Trummy left Lunceford’s band in 1943, joining Charlie Barnett’s band for a comparatively short period. (Barnett’s group included many musicians who later became part of Woody Herman’s “First Herd.”) In Ira Gitler’s Swing to Bop, Trummy recalled Barnett’s band fondly, “What a band that was, man!” but he also added, “Barnett wouldn’t keep a band but so long. When the band got popular, he broke it because he said it was interfering with his pleasure.” Trummy stayed with Barnett’s band for only a year, but he managed to keep busy after leaving. He joined Boyd Raeburn’s modernist band for a period, led his own band on 52nd Street in NYC and in Chicago, and toured with Norman Granz’s Jazz at the Philharmonic. The guys would say, “Let’s do something to trick these guys” So Dizzy had an apartment around on Seventh Avenue, and we all hung around there because Lorraine [Dizzy’s Wife] used to cook. And they started working on different chord progressions to keep these guys out of there. And they wouldn’t tell ’em what tune it was. It might be “I Got Rhythm,” but the chord progressions would be different. They did it to run these guys off there. And they used a lot of technique with it. In 1945, Trummy took part in a recording session that included Gillespie. The tunes recorded were Good Bait and I Can’t Get Started. Trummy was apparently part of the reason Good Bait was included;he knew of composer Tadd Dameron as an arranger for Jimmie Lunceford’s band and alerted Dizzy to his work. It affected it. It’s bound to affect it. I played things that I didn’t realize I was playing a lot of times because it was an influence from the guys that I played with. But I never did deviate too much from my original style. But you incorporated certain things. Without changing the style. You don’t even know you’re doing it. If you play with a guy like Dizzy and a guy like Bird, you’re bound to pick up a few things automatically. You don’t realize you’re picking ’em up. And every once in a while you hear a guy say, ‘Hey! Trummy! I didn’t know you played modern things!’ I say, ‘I don’t’. He’ll say, ‘Well, listen to this. And he’ll play something that I just without thinking unconsciously played because it’s so imbedded in my mind from hearing it with these guys. In 1947, Young left the NYC scene to live in Hawaii with his wife, who was a native of the state. But the life of a traveling musician was not something Trummy could get out of his blood entirely, and a 1952 invitation to join the Louis Armstrong All-Stars proved too good to pass up. What I loved about Louis was he was melodic. I’ve always been a melodic guy; I’ve always loved melodic things. I’ve never been a guy that played a lot of exercises and things of this sort, but I’ve always been a melodic player. Now, I’ve looked at various styles of playing. Now, Bird, with all the playing he did, it was melodic. Stop and think of that. Trummy did alter his style somewhat when he began to play in Armstrong’s group. On the out choruses in particular, his sound became boisterous — even raucous — but Trummy’s let-it-all-hang-out approach unquestionably added excitement to the All-Stars’ music. 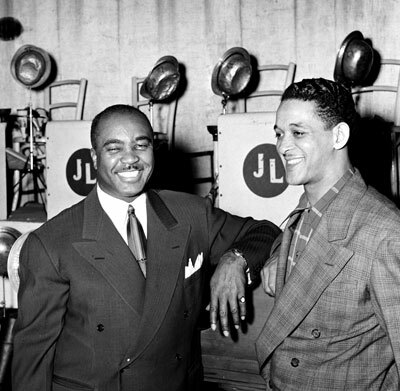 In contrast, Young kept the reserve in his singing style, where it made a good contrast to Louis’ gravelly voice on tunes like Rockin’ Chair, an old standby in Armstrong’s repertoire. In 1964, after many tours with the All-Stars, Trummy reluctantly decided to leave the group. For the next twenty years, he made Hawaii his home base. He worked with various bands in the Islands and led his own groups. He toured with bands in Europe and the United States, participating in posthumous tributes for Louis Armstrong after the trumpeter’s death in 1972. Trummy continued to gig into the early 80s, appearing at the Grande Parade du Jazz in Nice, France. Still living in Hawaii, Trummy Young passed away in 1984.